The charming and funny Mabel Normand was paired with many silent film heroes including Charlie Chaplin and Roscoe “Fatty” Arbuckle. Sadly, like so many film stars of the silent era she died young. 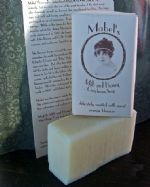 We honor her contribution to the world of comedy with this gentle and creamy Milk and Honey soap. 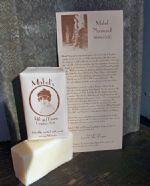 Local farms provide raw milk and honey and a touch of Orange Blossom is added for fragrance. Particularly nice for dry sensitive skin. A fitting tribute to a beautiful, funny lady.